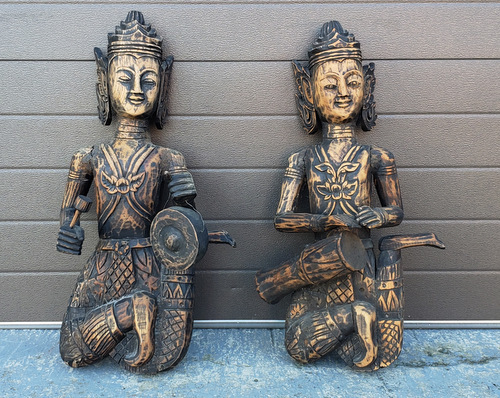 Hey guys, came across these carved wood figures. Both are playing instruments. Any help of what their meaning may be or where from would be appreciated. I would submit that the pair of figures posted are not Chinese or Japanese. They are from Thailand, and modern.